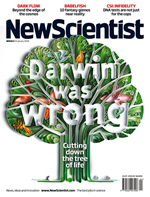 * Special Edition of Real Science Radio: The cover story in Britain's leading science magazine, New Scientist, admits that Darwin was wrong about the tree of life. See below, Attenborough's Missing Link, for the amazingly bad timing of Sir David Attenborough's evolution pronouncement and this cover story. 2012 Update: For extraordinary excerpts from this New Scientist article, see our rebuttal to Jerry Coyne's criticism of RSR, where he wrongly indicates that the scientific evidence documented in this article "is common only in bacteria..." See this also debated by clicking on this link into Round Five of the RSR Debate with Evolutionist AronRa. This popular atheist claimed that the phylogenetic tree of life shows that evolutionary descent is doubly confirmed when re-examined genetically. Bob Enyart challenged this by referencing the many genomes that leading evolutionists admit do not fit into the predicted Darwinian pattern. In Round Five, Enyart also presents the discoveries published in peer-reviewed evolutionary journals as in RSR's List of Genomes that Just Don't Fit, and those from the New Scientist article, showing geneticists at world-renowned institutions blatantly admitting that DNA, RNA, and proteins demonstrate contradictory evolutionary pathways and therefore, via genetic science, undermine the alleged Darwinian tree of life. * Testimony Contrary to Interests: The Darwinist New Scientist magazine published their cover story, Darwin Was Wrong about the Tree of Life. About this Tree of Life theory (named after the actual tree described in Genesis), the magazine reports that Darwin's theory of descent was as important as his theory of natural selection. Of the thousands of species genetically evaluated so far, more than half are not the product of a biological pathway represented by a tree (or a bush for that matter). ...ever more incongruous bits of DNA are turning up. Last year, for example, a team at the University of Texas… found a peculiar chunk of DNA in the genomes of eight animals [including] – the mouse, rat, …, little brown bat, … opossum, [a] lizard and [a] frog – but not in 25 others [where Darwin's tree would have it], including [in] humans, elephants, chickens and fish. 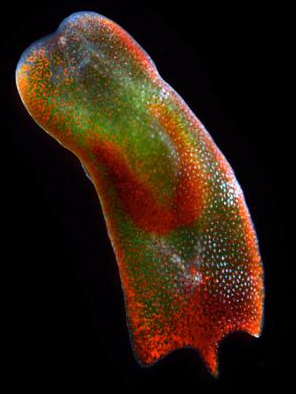 Conventionally, sea squirts - also known as tunicates - are lumped together with frogs, humans and other vertebrates in the phylum Chordata, but the genes were sending mixed signals. Some genes did indeed cluster within the chordates, but others indicated that tunicates should be placed with sea urchins, which aren't chordates. Biologist Michael Syvanen of the University of California said that, "Roughly 50 per cent of its genes have one evolutionary history and 50 per cent another… We've just annihilated the tree of life. It's not a tree any more…"
But today the project [to reconstruct the tree] lies in tatters, torn to pieces by an onslaught of negative evidence. Many biologists now argue that the tree concept is obsolete and needs to be discarded. "We have no evidence at all that the tree of life is a reality," says [an evolutionary biologist from Marie Curie University in Paris, Eric] Bapteste. RNA, for example, might suggest that species A was more closely related to species B than species C, but a tree made from DNA would suggest the reverse. And to make matters worse, protein sequencing might suggest yet a third evolutionary pathway, and then all of these were producing trees that contradicted the traditional pathways based on fossil evidence and anatomy. Having uprooted the tree of unicellular life, biologists are now taking their axes to the remaining branches. - and the human Y has 30% that doesn't line up to the chimps. * Related RSR Reports: See our reports on the fascinating DNA sequencing results from the roundworms, kangaroos, and sponges! And see the University of Chicago's famed evolutionist, Jerry Coyne, claim that the nonconformist genomes are relegated to the realm of microorganisms, which misunderstanding is falsified in the RSR rebuttal to Jerry Coyne's criticism of Bob Enyart. * Dawkins Proves a Creationist Right and the Above Report Proves Dawkins Wrong: Richard Dawkins proves a creationist right in this 80-second video regarding an extremely bold claim that none of Dawkins' books provided evidence for evolution. And the above shows that Dawkins is wrong in his "interview" with creationist Wendy Wright when he claims that DNA shows a systematic hierarchy of relationships that supposedly document Darwin's tree of life. * Two Strikes: David Attenborough's Missing Link and Darwin's Tree: It was with terrible timing that Sir David Attenborough concluded his new BBC special saying, "So now we can trace the ancestry of all animals in the tree of life and demonstrate the truth of Darwin[...]" Ha! Coincidentally to the publication of the New Scientist cover story, the BBC was vastly overselling a very pretty fossil that is likely to become [update: and has already become] an evolutionary dud. Over the decades, whenever some especially interesting monkey or ape fossil is revealed, the public is told that the missing link is finally found. Now a fossil monkey Ida, erroneously dated at 47-million-years too old, is presented by evolutionist Attenborough. 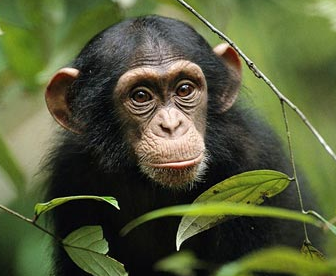 He pretends to quote skeptics asking: "'We are primates, show us the link?' The link they would have said up to now is missing - well it's no longer missing." And in a related story, Attenborough's recent BBC special, Charles Darwin and the Tree of Life, had its conclusion exactly wrong. For as his latest devotion to Darwin's tree was preparing to air, New Scientist was cutting it down. * Hey! Not So Slow: This was an earlier presentation of what became our List of Not So Old Things, RSR's growing list of scientific observations that undermine traditional evidence for million-year ages. KGOV.com's Real Science Radio hosts Fred Williams and Bob Enyart list physical evidence against old-age claims including that many atheistic, old-earth geologists no longer claim formation over millions of years for many major features of the earth's surface. 2012 Update: RSR's List inspired its own website, YoungEarth.com! Check it out! Today's Resource: Have you browsed through our Science Department in the KGOV Store? We invite you to check that out! Also, regarding another, far more significant tree, you may want to hear or watch Bob Enyart's What Ever Happened to the Tree of the Knowledge of Good and Evil? or check some of it out right here on KGOV!